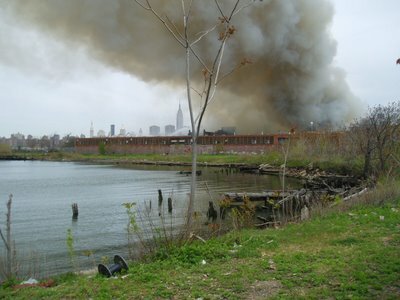 These are some pictures I took of a large fire that broke out in an abandoned 3-story warehouse along the East River at 5:30 this morning. 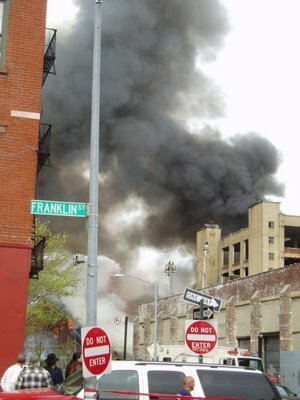 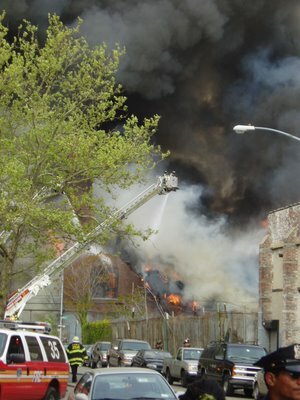 The warehouse is the site of the old Greenpoint Terminal Market, and it collapsed around 9:30. 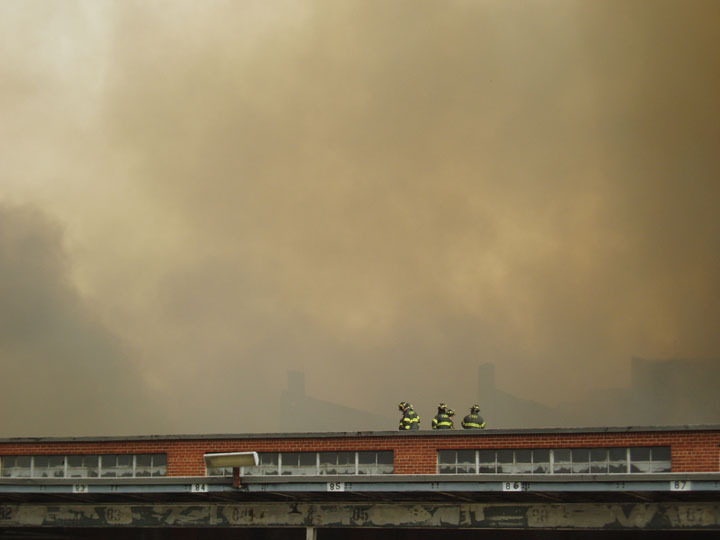 It's one of three buildings that have caught fire. 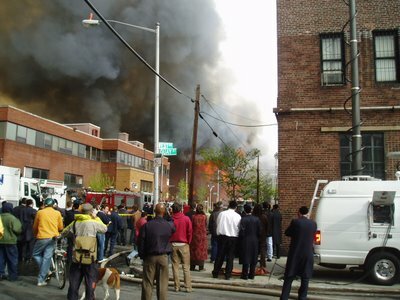 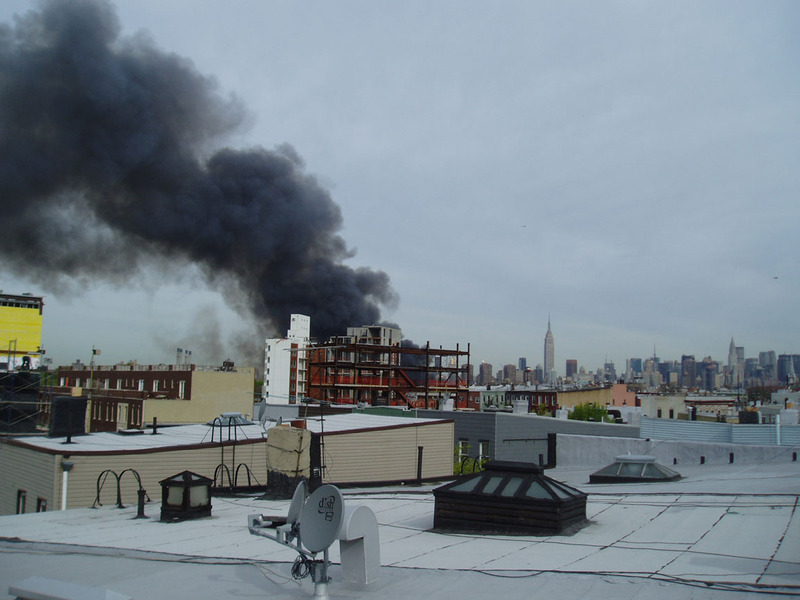 The local television news called it New York's largest fire in 10 years, including 9-11, in terms of manpower. 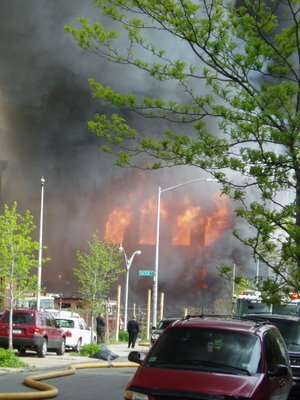 I don't know how that can be true, but 350 firefighers were reported to be at this fire. It's 1:30 now and, although the fire is under control, I am still hearing fire engines rushing past our apartment, which is about 3/4 of a mile from the fire. 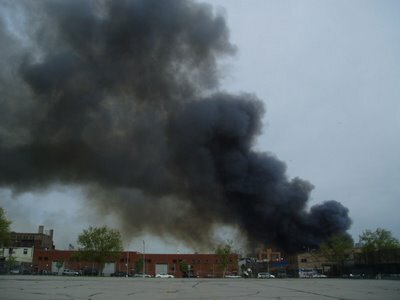 I saw some EMS on the scene, but it's not known whether there were any squatters living in the warehouse. In this last shot you can see, in front of the Empire State Building, streams of water, probably from fire boats on the river.